20 years after the release of Wolfenstein 3D, you can now play the game in your browser. Okay, given that Quake Live is pretty much a flawless browser-based shooter experience, making the ancient Wolfenstein 3D do the same thing may not seem like the most jaw-dropping technical accomplishment of all time. And it actually doesn't appear to run as well as the online version of the far newer Quake 3: Arena, but so what? This is history, kids. 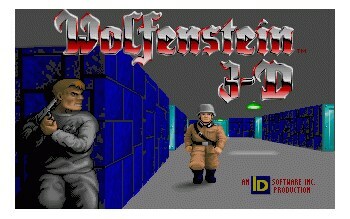 It's been 20 years since id Software effectively launched the FPS genre with the release of Wolfenstein 3D, a shareware game inspired by the top-down 80s classic Castle Wolfenstein. It was fast-paced, violent and bloody, and set the stage for world-changing games like Doom and Duke Nukem 3D. It also put id on the cusp of the fame and fortune it would ultimately earn as the leading pioneer of the genre. The mark the anniversary, id Software co-founder John Carmack has recorded a lengthy and very interesting commentary on the game and the evolution of the FPS genre as a whole. Bethesda is also making the iOS version of Wolfenstein 3D free for a limited time. And you can play the original Wolf3D online! The browser-based version of the game is a little rough, with wonky sounds and occasional graphical glitches, and the keyboard-only controls might seem a bit weird to all you kids raised on mice and controllers. But on the upside you can jump directly to any level of the game you want. Mecha Hitler awaits!